Around the holidays I have a lot of people coming and going. Sometimes I get an unexpected visitor and my house is a mess!! A quick clean up is always easy. Normally I grab what I can and throw it into my room I clean it up later, but they normal don't go into my room, out of sight out of mind! Thanks to my light weight vacuum cleaner it takes me 5 minutes to vacuum up the main rooms, hall and bathroom. The bathroom normally just has clothing on the floor, this takes all of a minute to swoop up. The one thing though that isn't so easy to get rid of is the puppy dog smell! I love my fur balls, but man do they stink some days. So before I start any of the other tasks I make sure to turn on my GuruNanda Oil Diffuser! 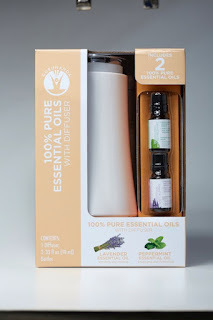 It is an aromatherapy gift set that features two different oils (calming lavender and uplifting peppermint) and an ultrasonic diffuser with a color-changing LED light to add to the sensory experience. So not only does my house smell good for guest, it offers a beautiful visual effect as well. It just a few moments the calming, tranquil scents make their way threw my home. Inside of getting greeted by a dog smell my guest are greeted by rich lavender or a perky peppermint scent!! I know several people on my gift list that this would make the perfect gift for! 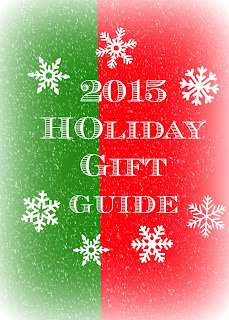 Not just as a Christmas gift, but also as a holiday party hostess gift!!! Not only that, but it is under $25!! I don't know about you, but I am so shopping on a budget this holiday season. The small price tag makes it the perfect gift. The GuruNanda 100% Essential Oils with Diffuser just launched at Walmart.